At ASSETS, our day-to-day work focuses on supporting socially responsible businesses and building an ethical economy that works for everyone. We help companies think about their impact, and equip them to measure how well they treat their employees, engage the community, and consider the environment. We encourage them to be intentional about their business decisions and operations, including how they hire, purchase, and grow. Our team deeply believes that when businesses operate this way, they transform our community. Doing this work leads us to consider our role in building a just economy not only at the office, but also in our personal lives as citizens and consumers. This year, Americans will collectively spend nearly $1 trillion on holiday gifts, with the majority of that money going to conventional big-box or online retail giants. Instead of contributing our dollars to these corporate behemoths, we’re asking ourselves what it would look like to support the kinds of businesses we champion at work – socially-minded, responsible companies, trailblazing a new way to do business? And that’s why, year after year, we take part in Gifts that Give Hope: Lancaster’s Alternative Gift Fair. This Saturday, December 8, this annual alternative gift fair is providing holiday shoppers the opportunity to purchase alternative, fair trade, and ethically sourced gifts that support the work of local and global charitable organizations. Come out from 10 a.m.-4 p.m. to the Farm & Home Center in Lancaster. 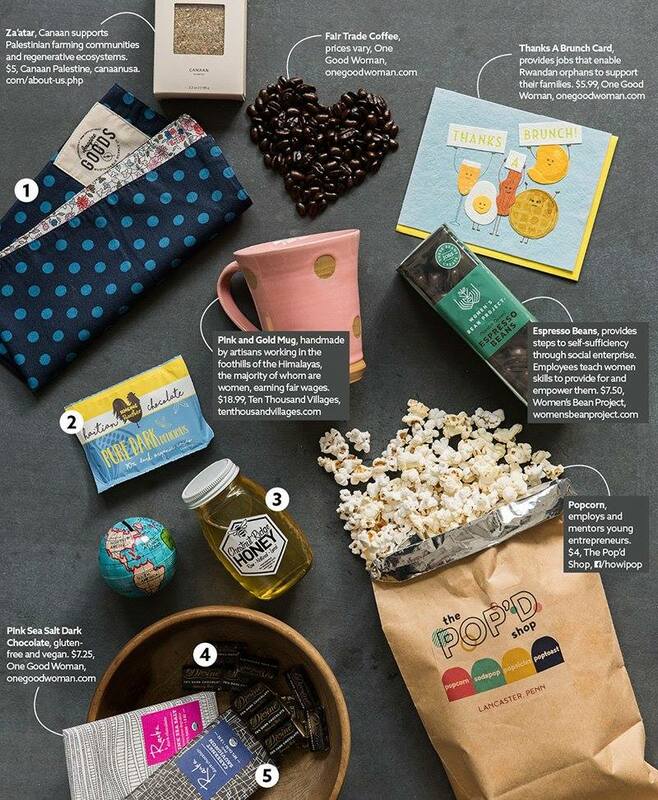 Visit the ASSETS table, and shop from many of our incredible clients, some of whom are featured in Susquehanna Style‘s newest issue, featuring Gifts That Give Back. Food vendors at Gifts That Give Hope include some ASSETS clients: Upohar, Christa’s Criollo, Commons Company, Stroopies, and Bridge. Retailers include the following ASSETS clients: Revolution Lancaster, Imagine Goods, Lush Bazaar, and Chestnut Ridge Honey & Beeswax. Find out more information at giftsthatgivehope.org/lancaster!